Employment relationships in Portugal are extensively regulated by statutory law and regulations that constitute the Labour Code (Law No. 7/2009 of 12 February 2009) and its complementary legislation on labour and employment matters. Collective bargaining agreements also play an important part in the Portuguese labour regime. These instruments can even bind an employer that did not sign or is not a member of the employers' organisation that concluded the agreement, if the Ministry of Labour decides to extend its provisions to a certain field of business. In addition, employment agreements remain a relevant source of labour law. In general, employees in Portugal enjoy a comparatively high level of protection, with a special emphasis given to the constitutional principle of stability of the employment relationship. Portuguese law does not recognise the concept whereby the employer terminates the employment simply by giving notice, except in cases of the employment agreement being terminated within the trial period or the expiry of fixed-term employment agreements. Thus, dismissals without cause are forbidden and shall be deemed null and void. There are several government agencies whose competence includes, or who are connected with the enforcement of, employment law. The two most important regulatory entities are the Directorate-General for Employment and Labour Relations and the supervisory Working Conditions Authority (ACT), with the latter having powers to conduct inspections and sanction breaches of employment and labour law. Individual disputes between employers and employees arising from an employment agreement fall under the jurisdiction of the labour courts, incorporated in the public legal system. Alternative dispute resolution mechanisms, such as arbitration, are irrelevant and hardly enforceable. However, conciliation within judicial lawsuits, before a judge or a prosecutor from the Public Attorney's Office, is mandatory in nearly all types of employment dispute and is of paramount importance in employment litigation. As happens in civil court litigation, employment litigation covers three levels of jurisdiction: first instance courts (often specialising in labour and employment matters), courts of appeal and the Supreme Court. Access to superior instances, however, depends on the value of the lawsuit. Legal provisions governing dispute resolution on employment matters are mainly set out in the Labour Procedural Code (LPC), dated 9 November 1999 and amended six times since then, the most significant reform being in 2009. However, the LPC is not as extensive regarding procedural provisions as the Portuguese Civil Procedural Code, which is the base framework for all litigation. Where the LPC does not provide a specific rule, the civil litigation provisions will apply, meaning that any reform of civil procedural rules will have a direct effect on labour and employment litigation. Currently, the Portuguese framework for employment dispute resolution mechanisms is facing a slight incompatibility with the default civil procedural rules, as a result of the approval of a new Civil Procedural Code in 2013. The new Code introduced a few significant changes to proceedings and this reform has not been accompanied by a much-needed harmonisation of the LPC. The civil reform has led to an increase in the discussions surrounding a corresponding reform of the LPC, which resulted in the presentation of a project to amend it. The proposed statute, which is pending approval of the Portuguese parliament, will bring labour procedure closer to civil procedural rules and implement changes to some existing specific procedures. 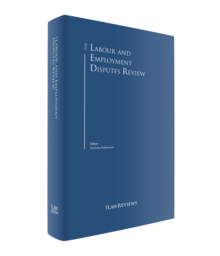 The labour procedural law sets out an extensive list of 'special proceedings' (as opposed to common proceedings), which are often considered urgent procedures, with substantial consequences on the rules for determining procedural deadlines, and which benefit from shorter judicial deadlines. Bearing in mind that the main problem that arises in dispute resolution – in general – is the length of time proceedings usually take, the truth is that labour and employment procedures, as a rule, are faster than civil procedures, particularly because of the urgent nature of most of the lawsuits. The Portuguese framework for resolving disputes in employment matters provides for two types of procedures: the common and the specific. The common procedure basically follows civil litigation rules, with a few minor differences. Where an employee is seeking to obtain outstanding payment from an employer or challenge the validity of the term of an employment agreement or a verbal dismissal, an initial claim must be filed with the labour court with territorial jurisdiction over the dispute – as a rule, the court of the defendant's place of residence. The counterparty will then be notified of the claim and the court will schedule a conciliatory hearing. If conciliation fails, the court will immediately notify the defendant (at the hearing) to present within 10 days its written statement of defence, in which all arguments against the claim should be laid out. Both the claim and the statement of defence must be articulated. Having analysed both the claim and the statement of defence, the court will either schedule another hearing – the preliminary hearing – with a view to the conciliation of the parties and a discussion of any procedural irregularities (e.g., the parties' capacity, legitimacy and representation, the court's jurisdiction) or, if the matter can be easily resolved and the facts are clearly and comprehensibly laid down in the claim and in the statement of defence, simply issue a preliminary order clearing the process of all irregularities and identifying the main issue of the dispute and the facts to be proven in the trial. Finally, a trial hearing will be scheduled. The trial hearing will mainly focus on the production of evidence of the facts, notably witness hearings. When all evidence has been offered and the trial is to be concluded, the parties are invited to present their final allegations and legal conclusions. There is also a considerable number of specific procedures that cannot be summed up in one basic set of proceedings. These specific procedures often include the intervention of the Public Attorney's Office as a mediator in the first stage of the process. In some specific procedures, such as the procedure for challenging a written dismissal, the parties' position is actually inverted: the employee files a very simple written application form with the court and the employer is notified to present a justification for the dismissal and explain to the court why the dismissal proceeding brought against that employee was conducted regularly and lawfully; to which, in turn, the employee will present its statement of defence. This means that although the lawsuit was filed by the employee, he or she will actually be taken as a defendant in the process. One thing almost all labour litigation proceedings have in common is the various attempts to conciliate the parties from the point when the claim has been filed all the way to the beginning of the trial hearing. Judicial conciliation is an important part of labour and employment litigation and judges tend to be quite persistent when trying to reach that goal in the successive hearings that take place throughout the process. Some judges may prove to be more interventionist than others, offering the parties their views on the legal aspects of the claims and arguments, to make the parties reach a settlement. disputes arising from the constitution of trade unions and their relationship with unionised workers. The most common types of disputes in Portugal include unfair dismissal, damages for outstanding payment arising from the employment relationship, breach of contract and work-related accidents. Unfair dismissal disputes may arise not only from individual or collective redundancy procedures and dismissals with cause, but also from unlawful expiry of fixed-term employment agreements that should actually be deemed to be open-ended employment agreements. On the one hand, if an employee wishes to challenge his or her dismissal by means of individual or collective redundancy, or of dismissal with cause, the LPC sets out a specific type of procedure to be followed: the special procedure for challenging the regularity and lawfulness of a dismissal. This procedure is considered urgent, which means that it is not suspended during judicial holidays2 and is expected to be concluded within one year (although it can, and often does, take longer). The court will ascertain and rule on the validity of the dismissal (i.e., whether the proper legal proceedings were followed and whether there was an actual cause, be it objective or subjective, for the dismissal). On the other hand, if a fixed-term employment agreement was terminated upon expiry, the employee may claim before the court that his or her fixed-term employment agreement was invalid, and for a number of reasons (e.g., because the employer had no valid temporary need that would legally warrant a fixed-term employment agreement). Hence the employee may claim that his or her employment agreement should be deemed an open-ended or permanent one and, as a result, should not have been terminated by expiry. For this type of dispute, the case will follow a common procedure, as described in the previous section. In these cases, the court will have a preliminary query to resolve concerning the validity of the fixed-term employment. When an employee is claiming unfair dismissal, it is common for him or her also to petition for damages for outstanding payment arising from the employment relationship, such as working overtime, professional training hours or seniority allowances. When these payments are being claimed separately (i.e., not in connection with a claim for unfair dismissal), the case should follow the common procedure rules. Common claims made by employers are related to breaches of contract, notably non-compete or confidentiality clauses. These disputes will also fall under the common procedure rules. Disputes concerning work-related accidents play a leading part in labour litigation. In fact, official data from the Ministry of Justice shows that, in 2017 alone, 41,043 of the 54,588 cases filed in first instance labour courts were work-related accident claims.3 The reason for this substantial percentage of cases is not that employees, employers and insurance companies are particularly litigious in these matters, but simply that all serious work-related accidents, including those that result in the employee's death, must be notified to the court and will automatically give rise to a special procedure provided for in the LPC. The first phase of this type of procedure is held before the Public Attorney's Office, with the employer, the insurance company and the injured employee, or his or her beneficiaries, being called for a conciliatory hearing, at which a detailed description of the amounts the injured employee or his or her beneficiaries are entitled to receive for the employee's incapacity or death will be laid down. The large majority of work-related accident cases shall be concluded and closed in that same conciliatory hearing, with only a few residual cases giving rise to a full judgment before a labour court (namely when the insurance company or the employer takes the view that the accident was not work-related). The current Portuguese government is composed of a left-wing coalition, elected in October 2015. In an attempt to move the country on from the climate of austerity during the years of financial and economic crisis, the government's programme is particularly driven by employee-friendly policies combating precarious employment and improving people's living and working conditions. The year 2018 was very significant in terms of planning labour and employment law reforms. In fact, the government has presented and approved two long-promised reform statutes: one amending the Labour Code in several aspects of employment substantive law and the other implementing several changes to the LPC. Additionally, protection of employees affected by business transfers continued to be a hot topic in 2018, with major changes entering into force in March. Moreover, some of the amendments introduced in 2017 have shown their influence during the past year, particularly with regard to the government's proclaimed battle against false self-employment. The issue with the employment status of service providers has become a growing concern particularly since Law No. 63/2013 of 27 August 2013 was approved, establishing a new, special type of judicial procedure for acknowledgment of the existence of an employment agreement (AREC). Since then, ACT and the Public Attorney's Office have strengthened their efforts to uncover false self-employment. Law No. 55/2017 of 17 July 2017 widened the scope of this type of procedure, making it applicable not only to situations of false self-employment but also to fake professional internships (i.e., where interns are, in fact, filling the role of a true employee) and fake volunteering, and eliminated the option of a conciliation hearing between the employer and the employee. The project for reform of the LPC foresees new amendments to the AREC procedure, allowing employees to file a claim before the court too (and not just the Public Attorney's Office). 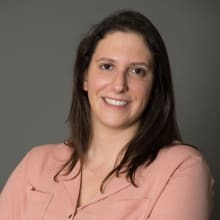 In the battle against false self-employment, the ACT had an important intervention, having carried out a series of labour inspections that were promoted during 2017, which led to several AREC lawsuits pending in Portuguese courts throughout 2018. ACT conducted nearly half a million inspections aimed at uncovering workers recorded as self-employed or independent contractors who, under the law and according to their individual circumstances, should in fact be treated as regular employees under open-ended employment agreements. Unofficial data disclosed by the press has indicated that approximately 330 false self-employed workers were exposed, giving rise to 294 formal complaints filed by ACT with the Public Attorney's Office. Hence, the labour courts had their hands full with AREC procedures during 2018. Unlike other jurisdictions where the gig economy is growing and companies prefer to use self-employed workers rather than hire employees under an open-ended or even fixed-term employment agreement, we believe the trend in Portugal for the now notorious false independent contractor is in decline, largely as a result of the increase in active intervention by ACT. The protection of employees in the event of a business transfer continued to be a hot topic during 2018. Council Directive 2001/23/EC of 12 March 2001 on the approximation of the laws of the Member States relating to the safeguarding of employees' rights in the event of transfers of undertakings, businesses or parts of undertakings or businesses (ARD) was implemented in Portugal under Articles 285 to 287 of the Labour Code. Despite its valued aim to protect employees' rights, implementation of the ARD has created some significant loopholes that could potentially have the opposite effect, jeopardising employees' rights and risking their employment position in the event of a business transfer. One of the issues that has been debated for years is the lack of legislation regarding the option for employees to oppose a transfer to a new company. From time to time, other issues have generated more attention whenever a high-profile transfer of an undertaking has occurred, as recently with Portugal Telecom (PT). The PT case inspired the parties in the coalition government to present proposals for amending the framework of employee protection in the event of transfers of undertakings. As a result, on 20 March 2018, amendments to Articles 285 to 287 entered into force, admitting, among other relevant issues, the possibility of employees being able to object to being transferred to the buyer company, as well as introducing heavier consultation and information obligations for the companies involved. Indeed, PT's employees reignited the discussion surrounding the right of the employee to object to being transferred to the buyer in the event of a transfer of an undertaking. This right was not expressly provided for by Portuguese law, although recognised by some case law and accepted in some sectors of the legal doctrine. The recent changes to the regime now expressly make it possible for an employee who opposes a transfer to stay with his or her existing employer whenever such a transfer causes serious damage to the employee's interests. However, the amendments do not give a complete definition of what is to be considered 'serious damage' but merely provide some abstract examples, such as when the buyer is evidently insolvent or in financial and economic difficulties, or when the employee does not trust the buyer's organisational structure. The lack of conceptual rigour in the amendments means the labour courts will have an important part to play when applying this new legislation. The ultimate consequences of an employee's objection to a transfer are also not called into question, given the unclear wording of the new provisions. In fact, if an employee objects to a transfer and stays with the transferor, the latter could refuse to keep the employee and force him or her to bring a lawsuit to prove the alleged serious damage. If successful, the employee's right to stay with the transferor would be recognised, but it is unclear what would happen if the employee is unsuccessful. Would the employee be deemed to have transferred to the acquirer of the business? Will the illegal enforcement of the opposition right be qualified as a resignation without the right to compensation? The answer to these questions is unclear and it will be up to the courts to provide additional guidance in this regard. The opposition right is particularly ill-designed in respect of situations where the transferor ceases to exist (notably, in the case of a merger). The most sensitive solution would be to consider that the right of opposition could only determine that the employee would be entitled to terminate the employment agreement and claim the payment of an indemnity from the transferor (equivalent to the severance compensation paid in the event of redundancy). The new changes also set forth that an employee who did not oppose the transfer of his or her contract and later on sustains that he or she suffered serious damage as a result of the transfer may terminate the employment agreement with the acquirer of the business and demand the payment of compensation from the latter. However, the deadline for enforcing this right is controversial – in other words, is there a statute of limitations or a deadline to enforce the termination? Some scholars also maintain that the right to terminate the agreement and claim the payment of severance compensation from the acquirer of the business would only be possible in relation to the transfer of an entire undertaking and not the transfer of a business. Again, this is also debatable and, given how recent these changes are, it is not yet possible to anticipate what the courts will decide. With so much remaining unclear, it is fair to say that these new rules will continue to be one of the most important topics in 2019, particularly among scholars, and probably until the first court ruling on the subject. The long-promised reforms of the Labour Code and the LPC have resulted in some momentous developments. In 2018, the government presented a project to amend the LPC with the aim of bringing it closer to the civil procedural reform implemented in 2013 (putting an end to the doctrinal discussions about which new civil rules should apply, or not, to labour procedures), including the law on the organisation of justice and courts of law, as well as changing some particular aspects of the existing specific procedures (some of which indicated above). In particular, this project foresees several amendments to the AREC procedure, allowing employees to file a claim before the court and not just with the Public Attorney's Office. Additionally, in line with its political programme, the government has approved and presented a statute project to amend the Labour Code with the aim of, among other aspects, (1) reducing the legal possibilities of recourse to fixed-term employment agreements, (2) promoting hiring under permanent employment agreements, (3) ensuring greater protection for workers on temporary agreements, and (4) stimulating collective negotiation. Within these goals, the government plans to reduce the maximum duration of fixed-term employment agreements, as well as the grounds under which they can be executed, and eliminate certain flexible forms of organisation of working schedules (leaving this option for collective bargaining agreements alone). Both projects are pending approval (and possible changes to the relevant wording and foreseen changes) by the Portuguese parliament and are expected to enter into force in 2019. Rulings from first instance labour courts, although available for consultation at the court's premises, are not published on any official database. Portuguese case law is thus mainly based on decisions from higher courts, namely the courts of appeal and the Supreme Court. Furthermore, as Portuguese employment law has implemented and followed EU regulations and directives, case law from the Court of Justice of the European Union must also be considered. During the past year, there were not many particularly noteworthy awards. However, three interesting decisions – one issued by the Supreme Court of Justice and two issued by the Court of Appeal of Lisbon – are worthy of mention. The Supreme Court of Justice was called upon to decide the lawfulness of the dismissal of an employee for using working tools provided by the company for illicit purposes. In particular, this employee was arrested for being caught in the act of committing an offence while driving a company car. After having been dismissed with cause, the employee was acquitted in the criminal procedure. Hence, the question here was whether or not the disciplinary procedure could include and rely on facts that may constitute a criminal offence, even though no final sentence has yet been issued in the criminal proceedings. Given the foregoing, the Supreme Court of Justice confirmed the decision of the Court of Appeal of Oporto, ruling that the principle of presumption of innocence was not violated if the dismissal (and the court's decision on the lawfulness of that dismissal) relied on facts that also constitute a crime even though no final sentence has yet been issued in the criminal procedure. An employee was subject to a judicial restrictive measure of suspension of his duties following his first interrogation within a criminal procedure brought against him by the Public Prosecutor's Office. The employee was being investigated for a crime of embezzlement. The employer had subsequently moved a disciplinary procedure against the employee for unjustified absences from work, which culminated in the employee's dismissal with cause. The Court of Appeal of Lisbon was called upon to decide whether or not the employee's absences from work should be considered justified from an employment law standpoint. The first instance labour court had confirmed the regularity and lawfulness of the dismissal, considering that the absences (a total of 161 days) were unjustified, regardless of the fact that they were dictated by judicial order. Hence, the absences could only be deemed unjustified when a definitive and final ruling in the criminal procedure was issued. Until then, the dismissal decision constitutes only a provisional and premature prognosis of the employee's guilt and illegality of his conduct. These two court awards, although considering different facts and distinct legal issues, appear to reflect a contradictory understanding of the necessary priority of criminal procedures regarding disciplinary action, particularly with respect to the principle of 'innocence until proven guilty'. On the one hand, the Supreme Court of Justice considered that the criminal procedure is not preliminary to the disciplinary procedure and thus an employer (or the labour court that is called upon to rule on the lawfulness of a dismissal) does not have to wait for a final and definitive ruling on the criminal procedure to enforce disciplinary action. On the other hand, in the Court of Appeal's view, the absences by the employee in question cannot be classified as unjustified, since that would be anticipating a guilty judgment that is for the criminal court to provide. Under the Labour Code, the statute of limitations to claim salary credits resulting from the employment agreement or its termination is of one year, counted from the date on which the contract is terminated. In the case at hand, the Court of Appeal of Lisbon was called upon to decide whether or not the statute of limitations had elapsed regarding a claim by an employee grounded on the invalidity of a termination agreement. The employee claimed that when he signed the termination agreement, he was in error regarding the reasons behind its execution because the employer told him (when negotiating the termination agreement) that his position would be made redundant. More than a year after termination, the employee found out that his position was not, in fact, redundant, and thus consideration should be given to the fact that the termination agreement could be deemed invalid. The Court of Appeal of Lisbon considered that the statute of limitations had not elapsed, given that the object of the claim was the invalidity of the termination agreement by virtue of the existence of an error in the consolidation of the employee's will (i.e., the reasons why he was convinced that he should sign the agreement). Hence, the Court ruled that the statute of limitations applicable therein was not the one provided for in the Labour Code but rather the one established in the Civil Code relating to the invalidity of contracts and agreements on the grounds of error, which is of one year counted from the date on which the error ceases to exist. The employment relationship and the legislation governing it are constantly mutating, influenced by the rotational change in government policies. As regards dispute resolution, labour and employment law practitioners are keen to see the reforms on procedural legislation, notably regarding harmonisation of the labour procedural rules with the civil procedural rules amended in 2013, enter into force in 2019 (as discussed above). The reform statute is pending approval of the Portuguese parliament and is expected to be implemented before the next government elections (in October 2019). On labour and employment matters, the government has maintained its focus on fighting precarious work, which was reiterated in its project to reform the Labour Code. The year 2018 has also been marked by an improvement in social security provisions regarding the protection of independent contractors. However, the most notable development was the changes to provisions regarding the protection of employees in the event of a transfer of an undertaking, which entered into force on 20 March 2018. However, these changes have created several loopholes and it will be up to the courts to determine the precise limits of the application of these legislative changes, although not for a couple of years. Hence, the year 2019 is expected to show a considerable increase in legislative activity to consolidate the left-wing coalition government's labour programme. 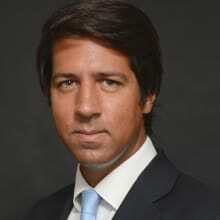 1 André Pestana Nascimento is a counsel and Susana Bradford Ferreira is an associate at Uría Menéndez – Proença de Carvalho. 2 There are three periods of judicial holidays in Portugal: (1) between 22 December and 3 January (inclusive); (2) between Palm Sunday and Easter Monday (inclusive); and (3) between 16 July and 31 August (inclusive). 3 Data available at www.siej.dgpj.mj.pt. Official data from 2018 is not yet available for consultation. 4 Case No. 235/16.4T8VLG.P1.S1, which ruling by the Supreme Court of Justice is available, in Portuguese, at www.dgsi.pt. 5 Case No. 11462/17.7T8LSB.L1-4, which ruling by the Court of Appeal of Lisbon is available, in Portuguese, at www.dgsi.pt.